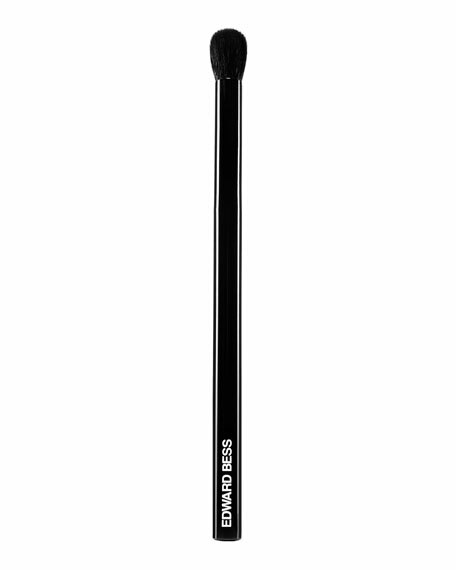 The only eyeshadow brush you'll ever want or needa magic wand that effortlessly creates depth and dimension. This Edward Bess brush is perfectly designed to accentuate the crease or lid with dome-shaped bristles. Discover Edward's go-to for all eye looksa stroke of genius! AN EYE FOR DETAIL Line. Define. Groom. Brush up on artistry with the newest tools designed to define eyes with intense precision. Deposits the exact amount of pigment needed for targeted eyeshadow application. Natural sable hair.